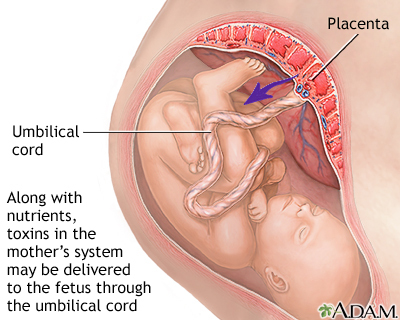 The fetus grows and develops due to the nourishment from the mother via the placenta. Along with nutrients, any toxins in the mother's system may be delivered to the fetus. These toxins often cause damage to the fragile, developing fetal organs. Depending on the organs affected, long-term effects may be severe, including mental problems such as retardation and seizures.